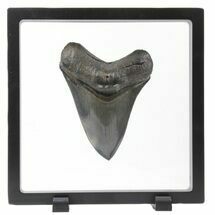 This is a bargain, 3.39" long Megalodon tooth collected on the North Carolina coast. 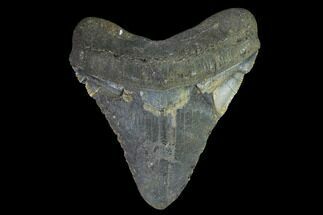 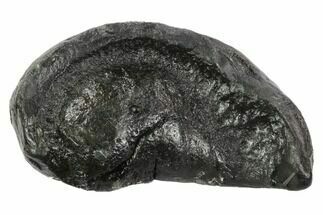 It was found by commercial divers collecting "the ledges" in about 100 feet of water. 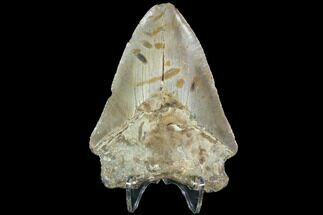 It would have eroded out of the Hawthorn Formation putting it's age in the range of 2.6 to 15 million years old. 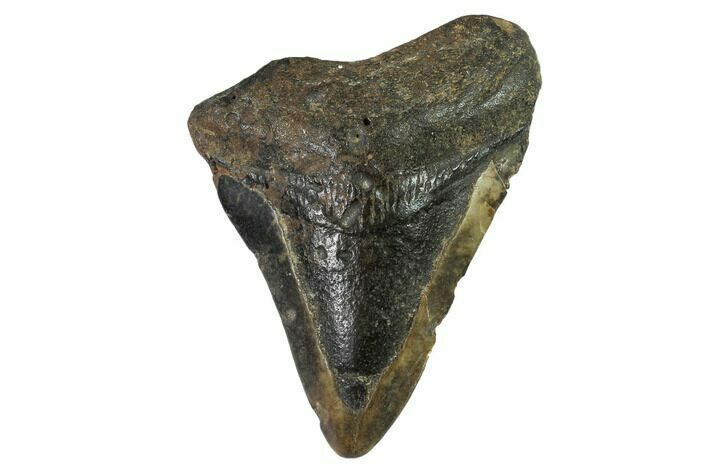 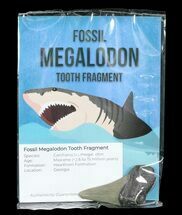 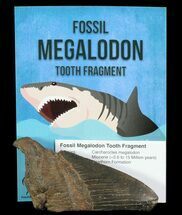 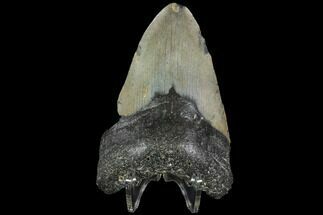 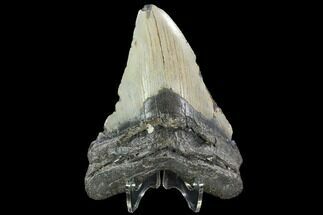 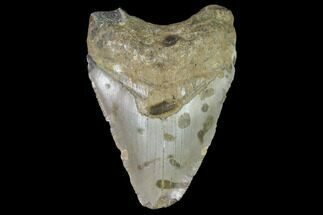 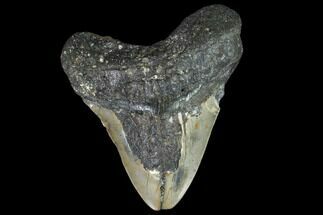 A tooth of this size would have come from a prehistoric mega-shark in the 30+ foot size range.